Over at the AFB Forum, we have a very clever group of customisers who post their work in our customs board, called "The Originals". As a monthly feature at AFB, I'll be shining the spotlight one of these great pieces of work each month. There's a bit of twist though: while I chose the first figure to be featured, from there on it’s the responsibility of the chosen customiser to choose the next custom (not their own work) to be featured. Last month’s customiser, Starman, has chosen a great piece by my good friend NiteOwl as the custom for this month’s spotlight. Stars has very impressive skills, especially when you learn that he does all of his painting freehand! I entered this custom into a comp on another forum, after watching the "Wolverine and the X-Men" episode that featured Maverick quite prominently. 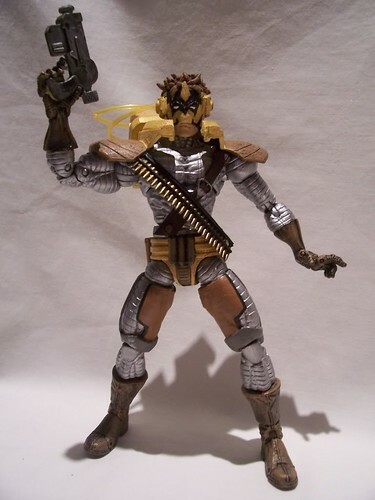 The torso, gloves and arms were from a ML Deathlok figure. His costumed indentations seem to fit the character quite well. The head was from a Legolas 6 inch LOTR figure. I just added sculpey for the mask and hair. 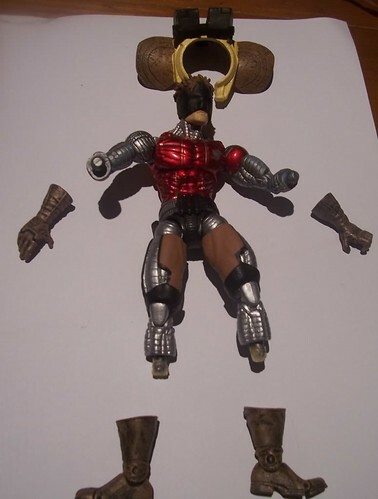 The boots are from a ML Wonder Man figure. 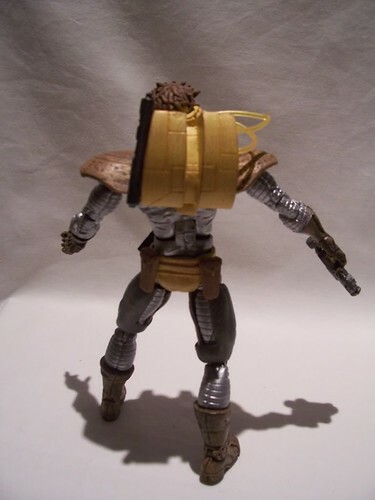 The backpack/harness is a combo from the Deathlok figure and the Silver Centurion Iron man. The bandoleer and various pouches are from various figures from JLU, DCUC and ML. The tubes are basically craft strings cut to size. I added sculpey again to the leg coverings and painted him up based on colours from various sources from the web and my own personal comic book collection. Without a doubt this is one of my most favourite customs that I have ever completed. Thanks for letting me be a part of the blog! Many thanks to NiteOwl for taking the time to write up this thorough explanation of his great work! Check out NiteOwl's Custom Thread at the AFB Forum for more pics of Maverick and his other works. We'll have another Custom Spotlight next month with a custom of NiteOwl’s' choosing! Also, don’t forget to check out the two contests we have going at the moment: the “That ‘70s Custom” Custom Contest and the final round of our first “Toy Lines!” Caption Contest! I remember seeing this some time ago and always wanted to let you know how cool this custom was!!!! He looks like he was taken straight from the store shelves....or one notch better I think! 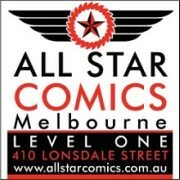 Great work NiteOwl and an excellent choice by Stars.